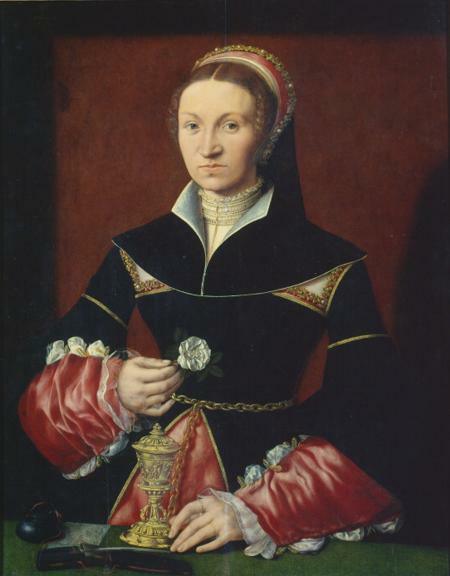 Ursula Pole was born in 1504 and was the only daughter of Margaret Pole, Countess of Salisbury and Sir Richard Pole. Making Ursula the granddaughter of the Duke of Clarence and therefore had a claim to the English throne. Sir Richard Pole died when Ursula was only one year old. Ursula had four older brothers all of whom acquired positions within King Henry VIII’s court. Ursula grew up at the family home at Warblington Castle, Hampshire whilst her mother acted as Royal Governess to the Princess Mary. Lady Ursula married Henry Stafford, 1st Baron Stafford on 16th February 1518 when she was 15 years old and he was 18. The marriage was suggested by Cardinal Wolsey and arranged by Edward Stafford, the Duke of Buckingham. Ursula’s dowry was 3000 marks which would be increased by a further thousand if her mother was able to reclaim some of her family lands from King Henry VIII. Instead, the Countess of Salisbury gave the couple land in Somerset and Devon that was worth 700 marks. The Duke of Buckingham also ensured that lands worth £500 were set aside for Ursula in case she was widowed. The Duke also paid for the wedding with the exception of Ursula’s clothes which her mother paid for. Due to the newlyweds ages the couple went to live within the household of the Duke of Buckingham, who acted as their guardians. Ursula was present at the Field of the Cloth of Gold in France, in 1520, she was four months pregnant and in November 1520 Ursula gave birth to the couple’s first child. Just a year later in 1521 Ursula’s father in law was arrested on charges of treason and beheaded. After his death an Act of Attainder was passed and his titles and lands were forfeited to the King, leaving Ursula and her husband very little to live on. It was not until 1547 when King Edward VI created her husband, Henry, the 1st Baron Stafford meaning that Ursula was now a Baroness. The couple had 14 children in total, seven sons and seven daughters. Their eldest daughter Dorothy would go on to serve Queen Elizabeth I as Mistress of the Robes. Ursula had seen many of her family members lose their lives at the hands of the royal executioner from her mother and brother to her son Thomas was executed for treason for leading an unsuccessful uprising against Queen Mary I in 1557. Having lost her husband in 1563 Ursula died on 12th August 1570, aged 66 her final resting place is unknown. William Cecil was born on 13th September 1520 in Bourne, Lincolnshire to Richard Cecil and his wife Jane Heckington. Cecil was educated at The King’s School, Grantham and then later Stamford School. 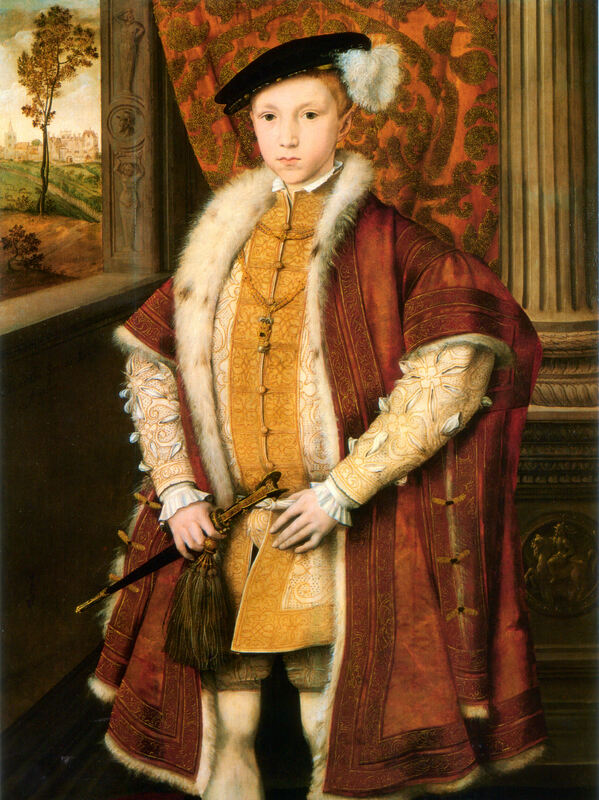 In May 1535 at the age of 14 Cecil studied at St John’s College, Cambridge where he met Roger Ascham and John Cheke. In 1541 Cecil’s father transferred him to Grey’s Inn before he was able to complete his degree. It was during this time that Cecil spontaneously married Mary Cheke and they had a son, Thomas, a year later. However, the marriage ended in tragedy in February 1543 when Mary Cheke died. Cecil found love again and on 21st December 1546 Cecil married Mildred Cooke. Cecil began his career in the service of the Duke of Somerset and Lord Protector of the young King Edward VI. Cecil was part of Somerset’s Pinkie campaign in 1547 as part of the Rough Wooing wars. Cecil was also one of two judges of the Marshalsea and wrote an account of the campaign along with William Patten, the other judge. It is believed that Cecil also sat in Parliament in 1543 until 1547 when he was elected for Stamford. In 1548 Cecil is described as the Lord Protector’s Master of Requests, a role that meant that he was a registrar of the court that dealt with the complaints of poor men, it was an illegal set up at Somerset House but was probably instigated by Hugh Latimer. At the same time he was the Lord Protector’s private secretary. At the fall of the Lord Protector, Cecil found himself in the Tower of London on 10th October 1549. Within three months though Cecil had allied himself with the Duke of Northumberland and secured his release from the Tower. On 5th September 1550 Cecil was appointed as one of King Edward’s VI two Secretaries of State and the following April he became the Chancellor of the Order of the Garter. As it was becoming clear that the young King was dying his Council turned their attention to who would succeed Edward. It was clear that they did not wish to follow King Henry VIII’s wishes and place Mary on the throne, allowing the country to return to Catholicism. Therefore the Council put their support behind Lady Jane Grey, at first Cecil resisted the idea and even wrote to his wife; ‘Seeing great perils threatened upon us by the likeness of the time, I do make choice to avoid the perils of God’s displeasure.’ He eventually signed but when Mary did eventually take the throne he pretended that he had only signed it as a witness and not as someone who supported placing Lady Jane Grey on the throne. During Mary’s reign Cecil was spared from persecution as he not only conformed to the Catholic ways but he played no part in the misery that Mary suffered during her childhood after her parents divorced. Mary also sent Cecil to meet Cardinal Pole upon his return to England in 1554. 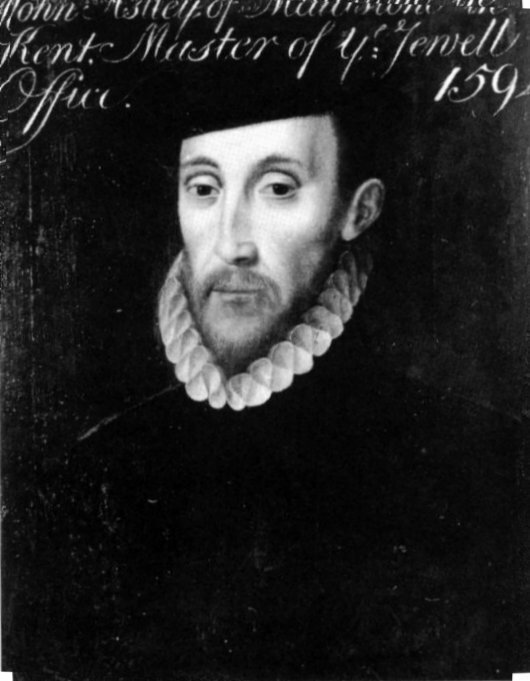 Cecil was elected to Parliament for Lincolnshire in 1553, 1555 and 1559 and for Northamptonshire in 1563. In January 1561 Cecil succeeded Sir Thomas Parry into the office of Master of the Court of Wards and Liveries, this was a role that saw him help young boys from wealthy families, who had lost their fathers, into education and help raise them into the roles that they were born into. These young boys included Edward de Vere, 17th Earl of Oxford, Henry Wriothesley, 3rd Earl of Southampton and Roger Manners, 5th Earl of Rutland. Upon Queen Mary’s death and the ascension of Elizabeth, Cecil who had been out of favour made his way to Hatfield House and was one of the first visitors to the new Queen. When the Privy Council arrived to present themselves to their new monarch they found that Cecil and the Queen were already making appointments including Cecil’s new role as Secretary of State. This would be the starting point of Cecil’s career during the reign of Elizabeth as he would go on to lead Elizabeth’s Privy Council, set up an established intelligence service and controlled the finances of the crown. In February 1559 Cecil was elected as Chancellor of Cambridge University succeeding Cardinal Pole he was also granted an M.A in 1564 when Queen Elizabeth visited the University. Cecil was also awarded an M.A at Oxford University in 1566 and he later went on to be the first Chancellor of Trinity College, Dublin between 1592 and 1598. 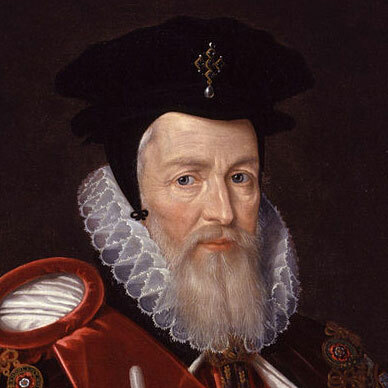 On 25th February 1571 Cecil was given the title of Baron Burghley by Queen Elizabeth, with his new title he also continued in the role of Secretary of State and was effectively running the country on behalf of the Queen. However, in private Cecil attacked the Queen and in particularly in 1572 he criticised the Queen’s handling of Mary Queen of Scots who was gathering a large amount of support from the Catholics, which was a dangerous situation as Elizabeth had been excommunicated by the Pope just two years earlier. Cecil had two magnificent homes during his lifetime. 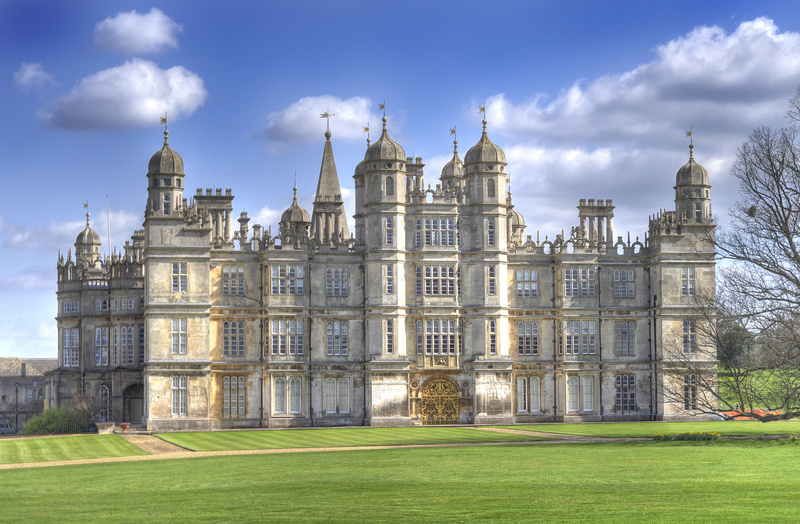 Burghley House was modelled on Richmond Palace and was built between 1555 and 1587 and Theobalds House was situated just north of London and was built between 1564 and 1585, the Queen visited Theobalds eight times within 24 years. In 1572 Cecil was appointed to the role of Lord High Treasurer after the death of Lord Winchester. He was recommended to the role by Robert Dudley who had turned the offer down. Dudley stated that Cecil was the better man for the job as he had a stronger learning and knowledge than Dudley. Cecil’s position within the royal court was strengthening with every new position. Cecil died on 4th August 1592 at his London home, Cecil House, it is believed that he died following either a stroke or a heart attack, when he fell ill it is believed that the Queen even attempted to held nurse him back to help. 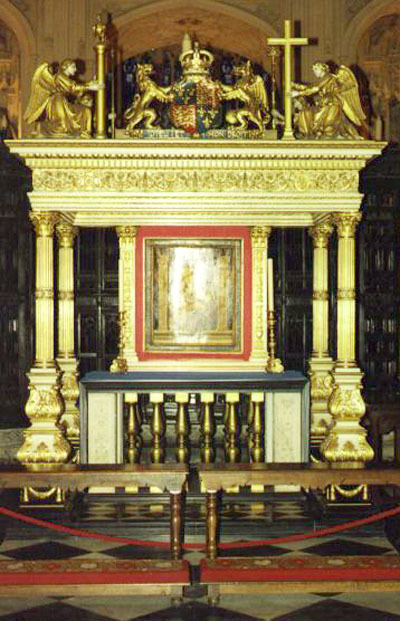 He was buried in St Martin’s Church, Stamford near Burghley House. His son, Robert, succeeded his father in many of his positions and became the Queen’s principal advisor and later aided the transition from Queen Elizabeth to King James. It is unknown when Katherine Champernowne, or Kat Ashley as she was later known, it is believed that she was born in 1502 and that her parents were Sir John Champernowne and Margaret Courtenay. Kat’s early life is unknown and but she appears to have been appointed a waiting gentlewoman to Elizabeth in 1536, shortly after Anne Boleyn had been executed. Kat intended to keep Elizabeth’s mother’s memory alive with the infant. After the birth of Henry VIII’s son, Edward, a new household was set up to care for him this included Lady Bryan who had been until then Elizabeth’s nurse. 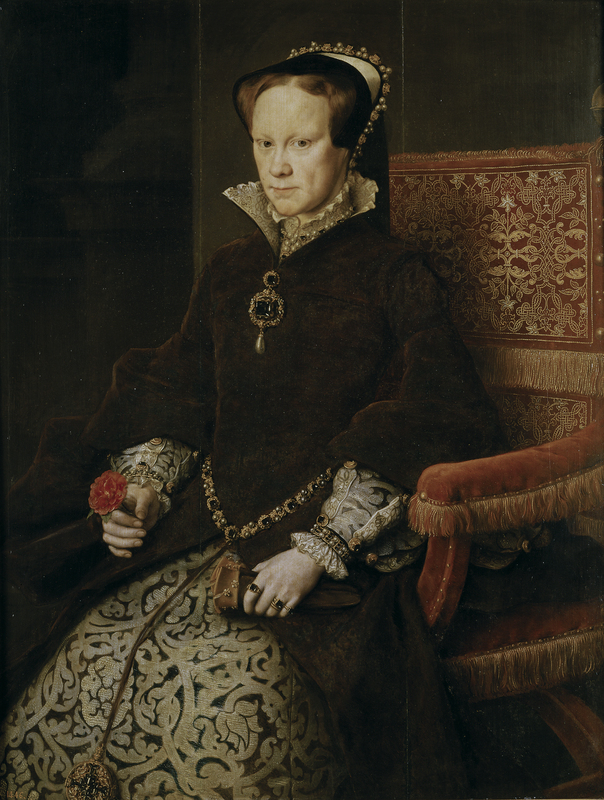 As a result in 1537 Kat was appointed governess to Elizabeth. In her role as Elizabeth’s governess Kat would teach her young charge in every aspect from geography, astronomy, history, maths and many languages including French, Italian, Spanish and Flemish. Away from the classroom Kat would also teach Elizabeth dancing, riding, embroidery and needlework and by the time Elizabeth was six years old she was able to sew a cambric shirt from her brother, Edward. Elizabeth said later in life that Kat ‘took great labour and pain in bringing of me up in learning and honesty.’ Kat played a huge part in shaping who Elizabeth would be in later life. In 1543 with King Henry VIII marrying his sixth and final wife, Catherine Parr, Elizabeth began attending court more and more and Kat would accompany the young Elizabeth. With the death of the King, Elizabeth and Kat would go and live with Catherine and her new husband Thomas Seymour in Chelsea. However, it was not to be an easy time. 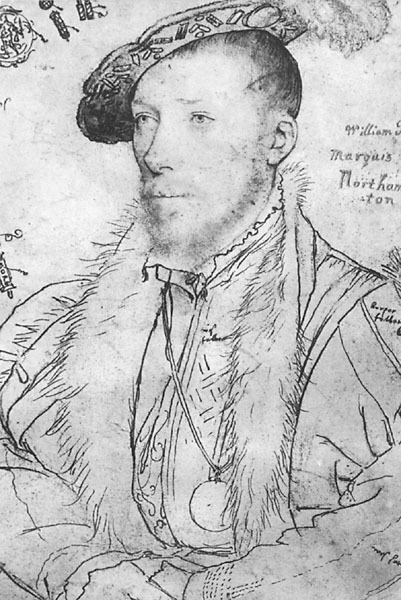 Thomas Seymour, despite his hasty marriage with the King’s widow, took a shine to Elizabeth and began a flirtation. Kat would witness Seymour’s attempts to potentially seduce the young girl and tried to stop them warning Elizabeth away from Seymour. Kat would eventually report her concerns to Catherine Parr, who instead of stopping it joined in and reportedly held Elizabeth down whilst Seymour slashed at the 14 year olds nightgown. However, things turned serious when Catherine caught Elizabeth in Seymour’s arms and Kat lectured Elizabeth on the need to stay out of trouble and protect her reputation especially as she was second in line to the throne. These events would be eventually investigated by King Edward’s Privy Council when Seymour was being investigated for treason. On 21st January 1549 Kat was arrested and imprisoned in the Tower of London whilst the claims were investigated. Kat told the investigators everything she knew and protested Elizabeth’s innocence as well as her own and was eventually declared innocent and released in early March 1549. Kat would return to Elizabeth who was now residing at Hatfield and would remain with Elizabeth until 1554 when Elizabeth was imprisoned in the Tower by her sister, Mary I. Elizabeth was later released and Kat rejoined her charge but it was short lived as in May 1556 Kat was arrested and sent to Fleet Prison after books that were discovered in her possession that was considered treasonous. Kat was imprisoned for just three months but on her release she was forbidden from seeing Elizabeth again. Upon Elizabeth taking the throne the order was revoked and Kat returned to Elizabeth and was appointed First Lady of the Bedchamber and became one of the most influential people in Elizabeth’s court. 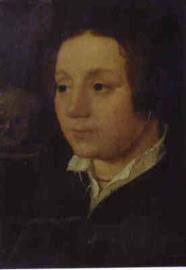 Kat Ashley died on 18th July 1565 and Elizabeth was left heartbroken at the loss of her long term companion. After Kat’s death Elizabeth would say of the woman who stayed by her side since she was four. ‘Anne Boleyn gave me life but Kat Ashley gave me love’.